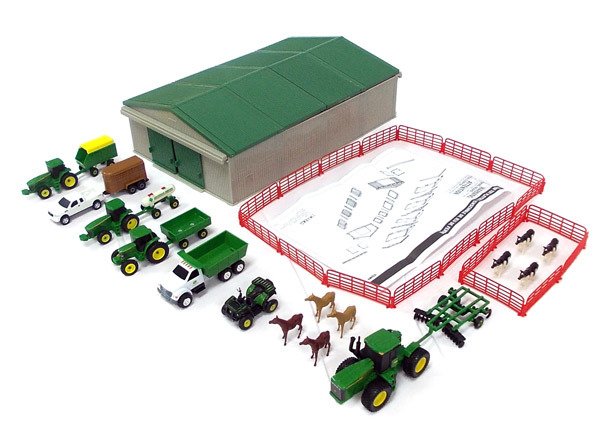 This 70 piece John Deere value set includes everything you need to start your own miniature farm! 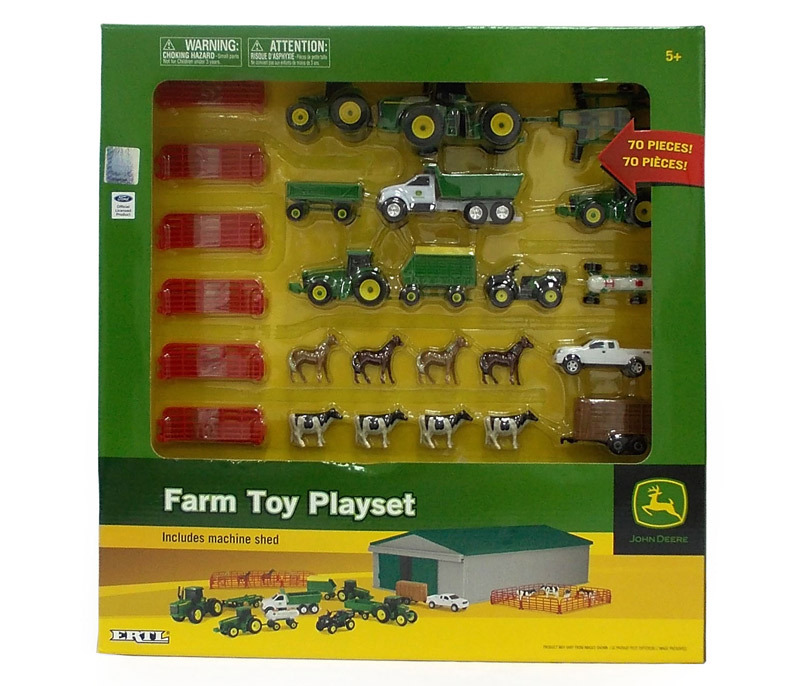 Each set includes a variety of tractors, trucks, implements, and animals. Also included is a machine shed with opening doors and a removable roof so you can store everything inside! Each vehicle is approximately three inches long and features free rolling wheels and die cast chassis. Was viguring the trucks and tractors would be cast type metal. Nope... Toys are all plastic !! I hope this plastic holds up for many years to come, like cast metal dose !! Especially for the price !! Bought it for my 8yr old. He loves it so I just bought him another set.